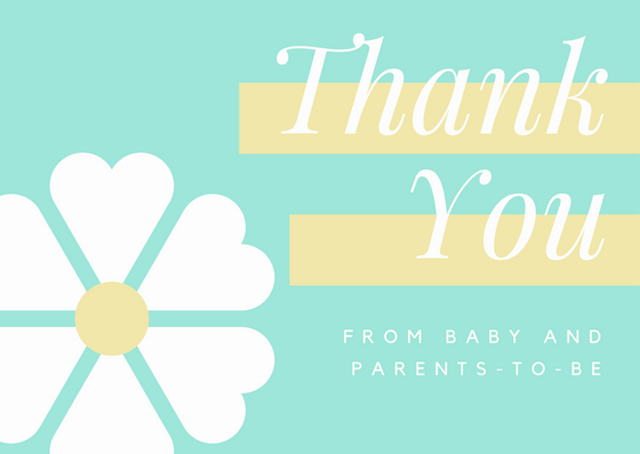 Express your gratitude to your loved ones with personalized thank you cards! Get inspired to craft the perfect one with our collection of excellent imagery and designs. 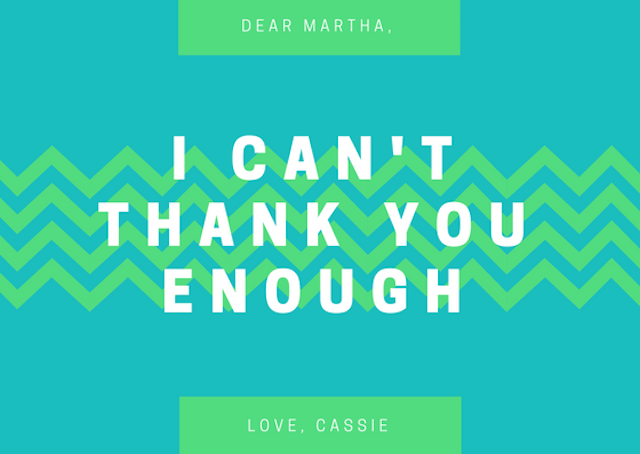 Thank you cards can go a long way in making someone feel extra special. Browse through our wide selection of professionally-designed templates and choose the perfect design for your needs. 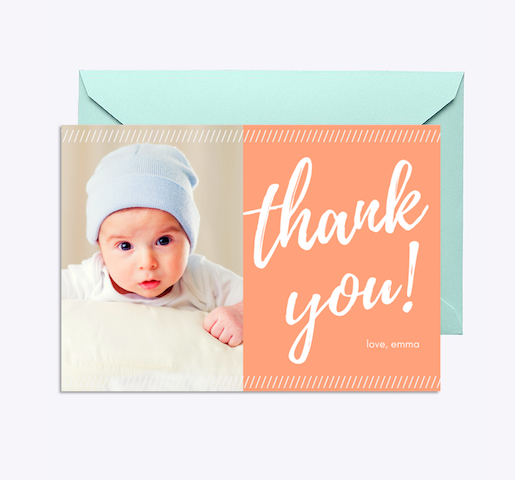 A thank you card will be appreciated even more when it’s made with love. 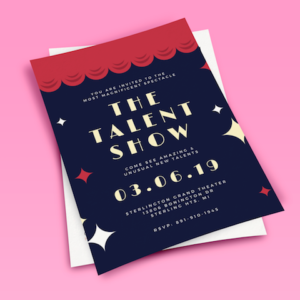 Browse through our selection of high-quality imagery and designs to find out how you can make your card that much more special. Weddings are even more special when celebrated with all of your loved ones. 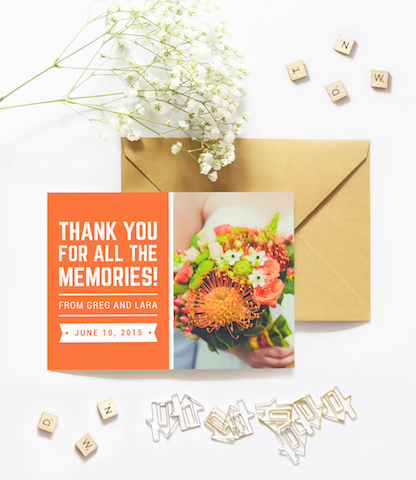 Thank them for joining you and your beloved with a card that features a beautiful photo from your special day! 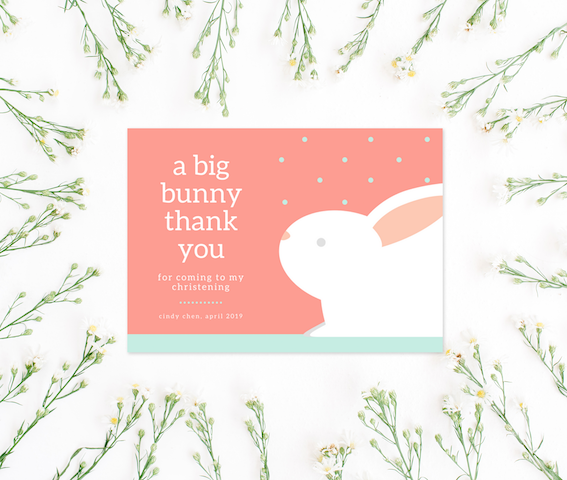 Perfect for your little one’s special occasions, this thank you card comes with elegant script, simple color palette, and space for your baby’s adorable photo! 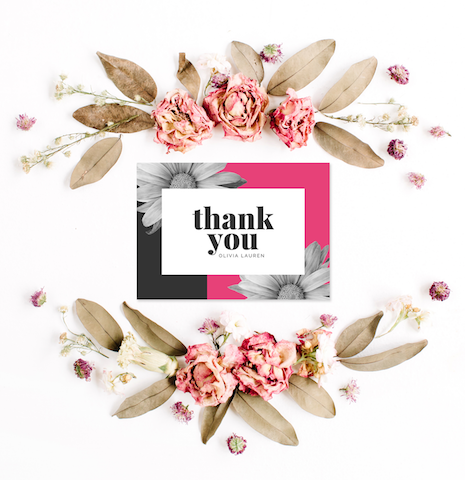 Send your many thanks to a loved one with this creative thank you card featuring monochromatic floral accents. The pop of pink against the black elements adds a cool and unique spin to the look! 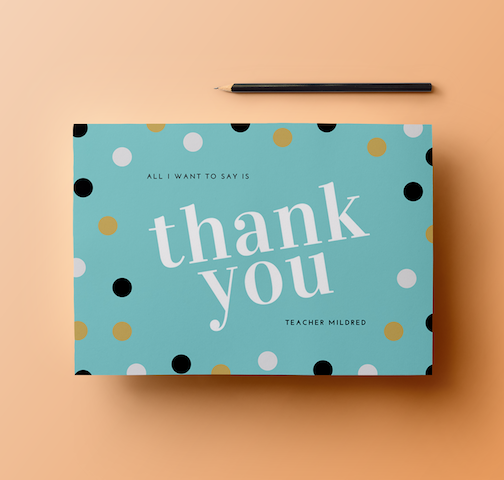 Give your favorite teacher a sweet thank you card like this one! Featuring funky polka dots on top of a bright blue background, this card will definitely be cherished for years to come. 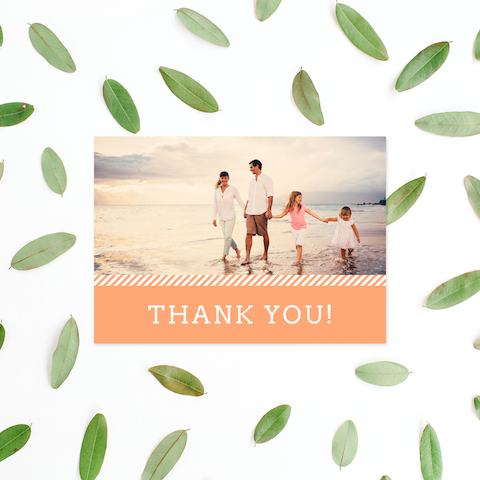 Give your thank you cards that much needed personalized touch with a favorite photo of you and your family. Don’t forget to type in a sweet message and you’re ready to send them out. 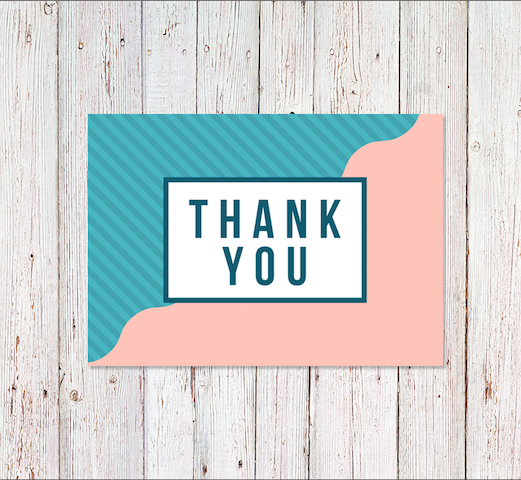 If you find yourself grateful to a lot of people, then you’ll need a batch of this cool thank you card featuring fun patterns! One half comes with blue stripes, while the other is in pink waves. 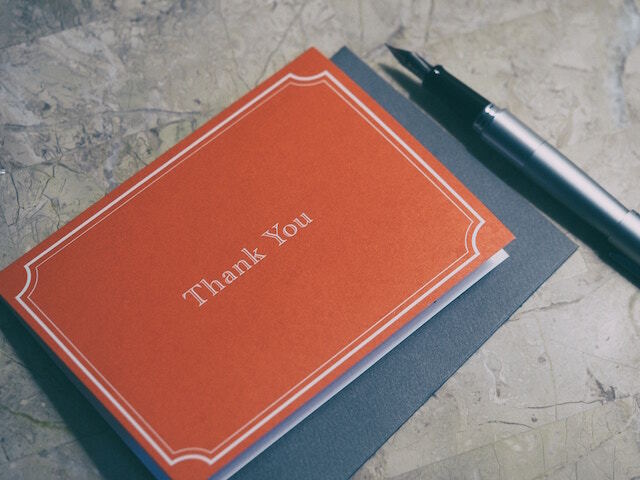 Add lovely handmade touches to your thank you card with a green pen and some watercolor paint. Simply draw on green dainty leaves, then cut out the edges to recreate this card! 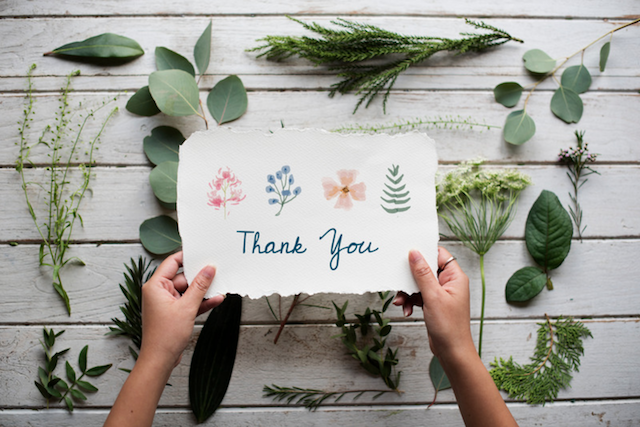 Show your gratitude as well as your crafty side with a creative thank you card! 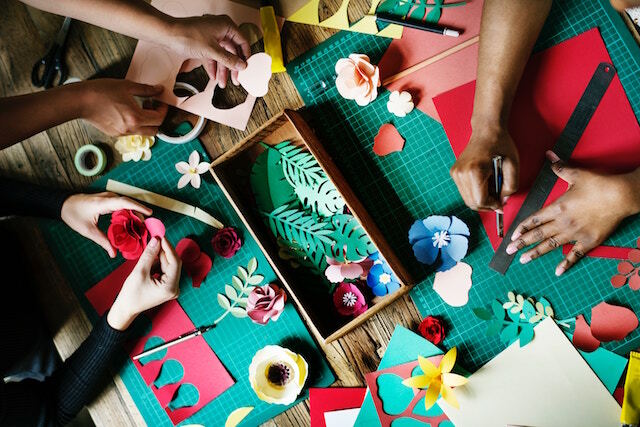 Cut out some colored paper and turn them into flowers and leaves to decorate your card. 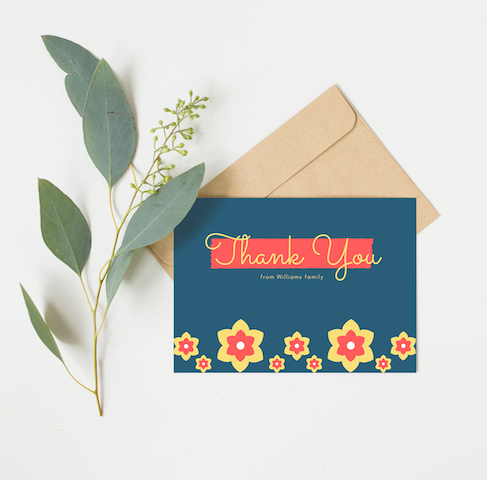 Give your thank you card a more personalized touch with pretty watercolor style flowers. This card comes with floral accents that add a pop of color to the simple white card. 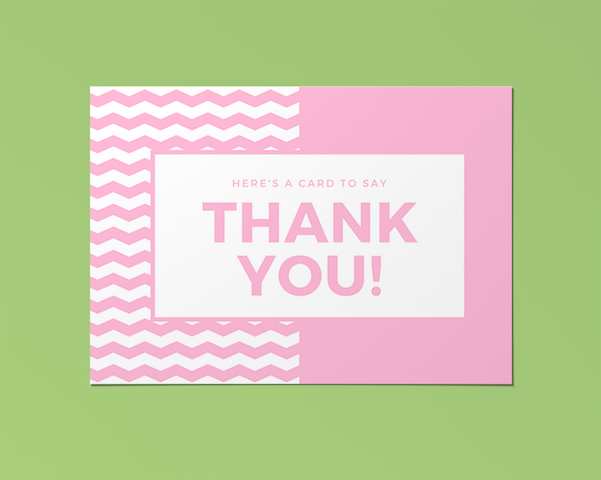 A heartfelt word of thanks in a lovely card is a simple way to let someone know you’re grateful to them. Here’s one that comes with a pretty pink shade and a zigzag pattern. 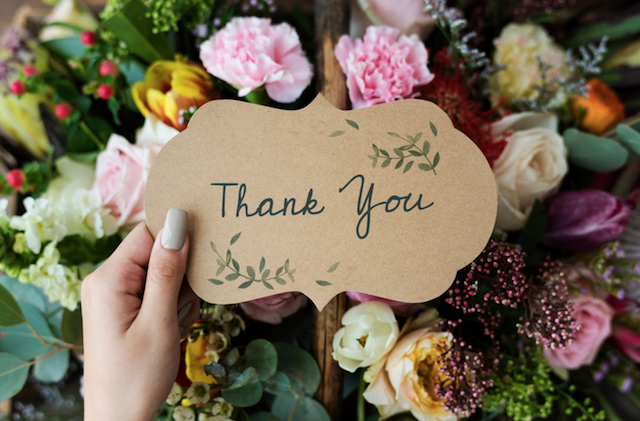 You don’t need a bouquet of flowers to thank your teacher. 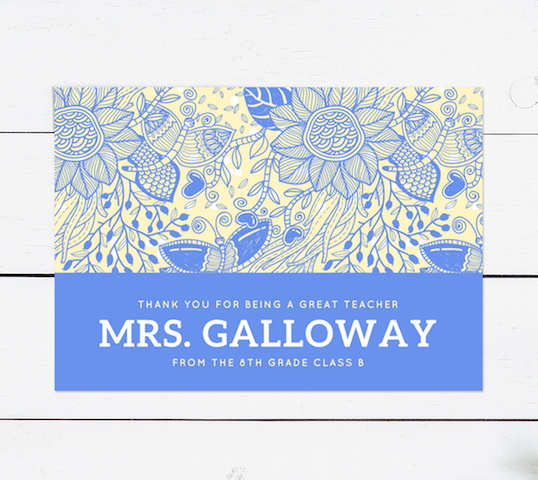 With its pretty flower doodles and blue color scheme, this card is just what you need to make your teacher feel loved and appreciated by your class! 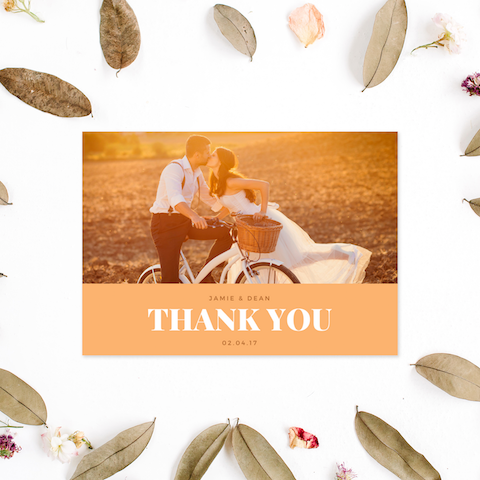 Let your family and friends know how much you appreciate their presence at your wedding with a personalized thank you card featuring a beautiful photo of you and your beloved. 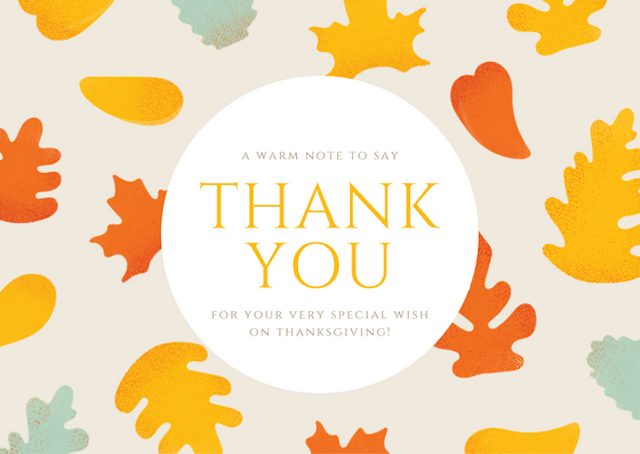 Let a loved one know just how much you’re thankful with a sweet card like this one! 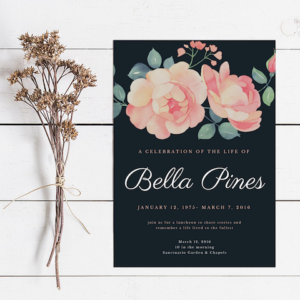 Simple yet charming, this design comes with illustrated flowers in red and yellow on top of a dark blue backdrop. 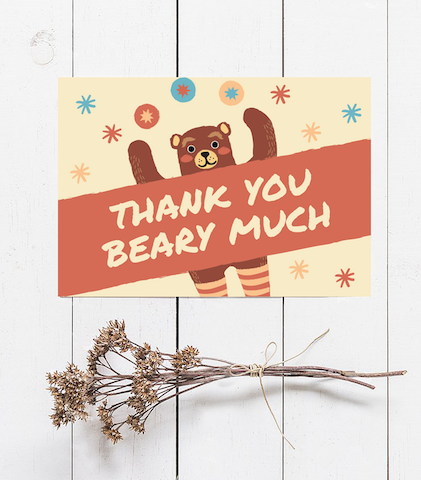 Put a big smile on your friend’s face with this adorable thank you card featuring an illustrated teddy bear and a funny pun. The doodles of stars add a nice touch to the whole design, too! 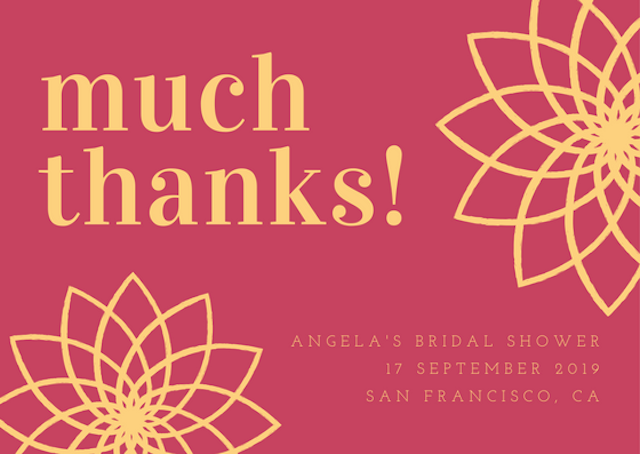 A beautiful thank you card is what you need to conclude a beautiful wedding celebration. Featuring pretty floral accents and elegant design, this card is simply perfect for your needs. 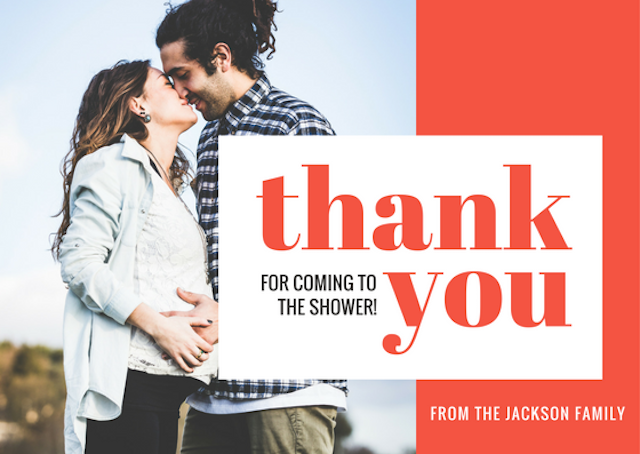 A simple thank you card will go a long way in making anyone feel extra special. This card comes with clean white borders and classic typography on top of a red backdrop. 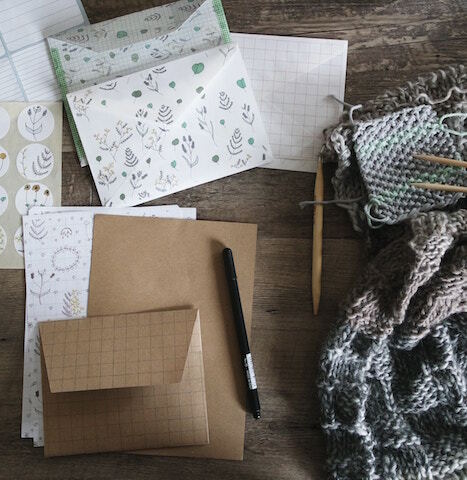 Craft the perfect thank you card with leaf-patterned grid paper and envelopes. Get artsy and do it yourself by drawing on the grid layout and adding cute leaf-themed stickers. 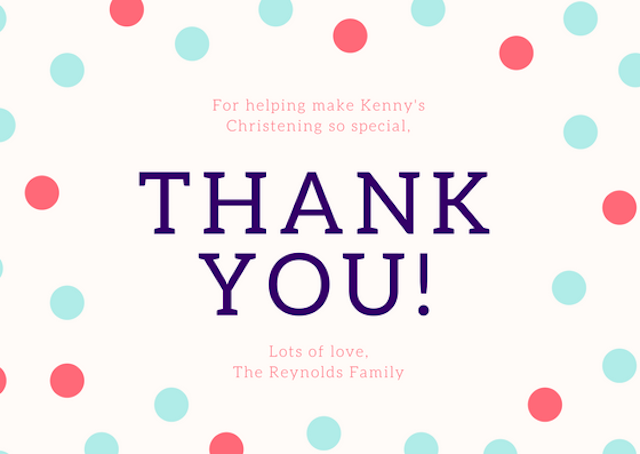 Send a word of thanks to the people who came to your child’s christening with this adorable thank you card! Cute and creative, this design comes with an illustrated bunny and some dotted accents. 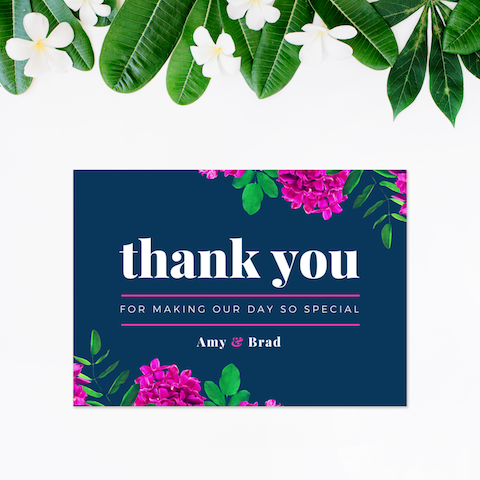 Bring the wonderful tropics to your thank you cards with this summery design! 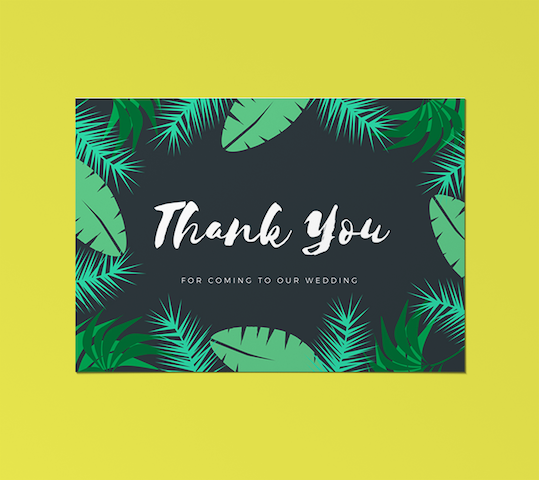 Featuring illustrated leafy borders in different shades of green, this creative card is perfect for your tropical-themed celebrations. 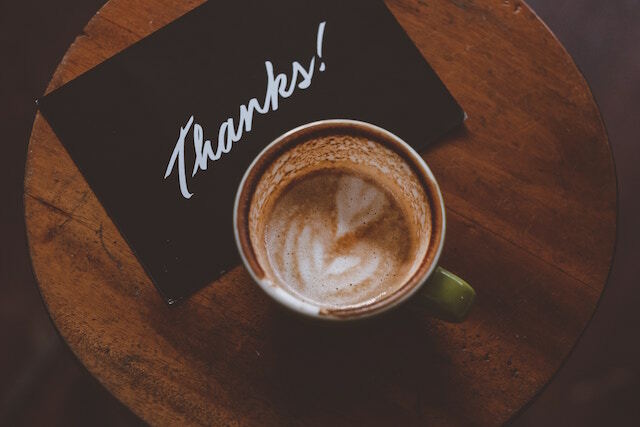 Express your gratitude to a loved one with a card and a cup of coffee. 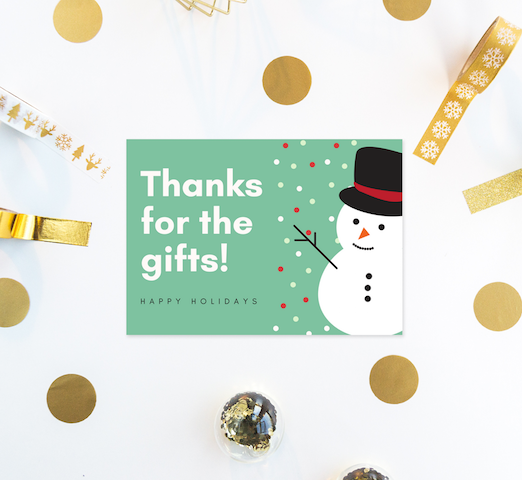 Go for a minimal look with a black card that says “Thanks!” in white script typography! 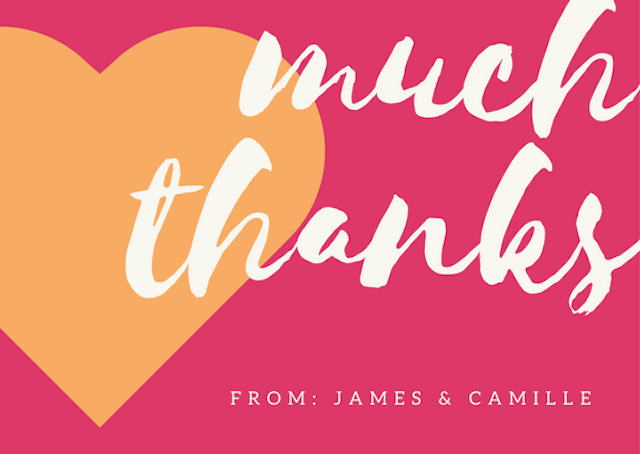 Make anyone feel special with a handmade thank you card that’s straight from the heart. This one features artsy watercolor style flowers and blue green script on stiff white paper. 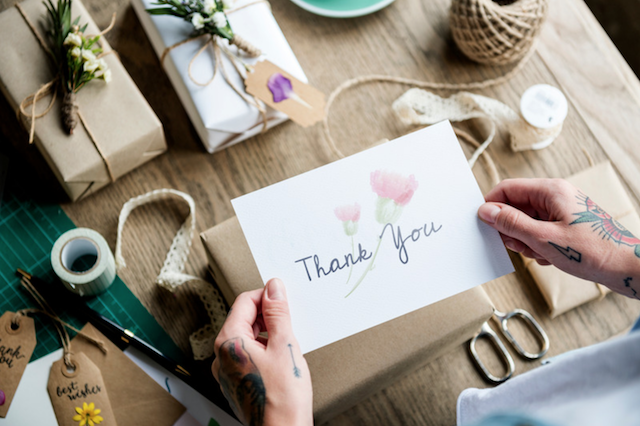 Choose the perfect thank you card that pairs well with your present. Wrapped in stiff brown paper, this parcel comes with a little white card to elevate the rustic vibe. 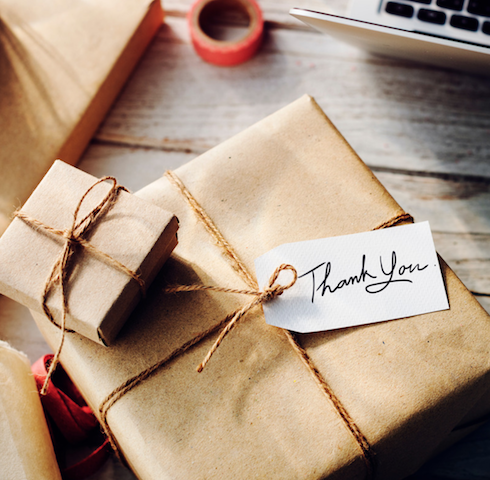 Holidays are the busiest time of the year, but make sure you don’t forget to send your thank yous to everyone who put an awesome present under the tree! 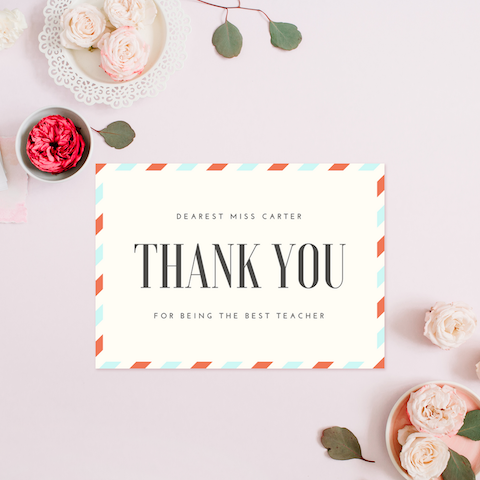 Hand your favorite teacher a sweet thank you card to let them know they’re the best! Featuring blue and red striped borders, this creative and classy card takes inspiration from airmail. 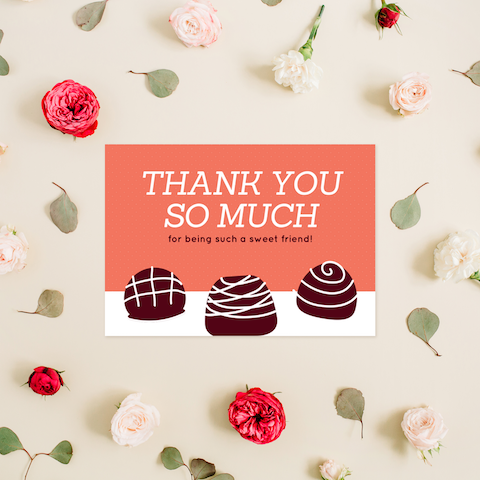 Thank a sweet friend with an equally sweet card that features illustrated chocolates with fun toppings. 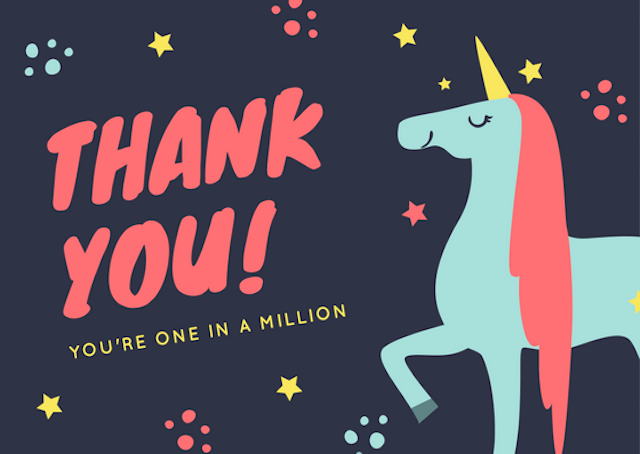 Send over this card to make your pal feel loved and appreciated.